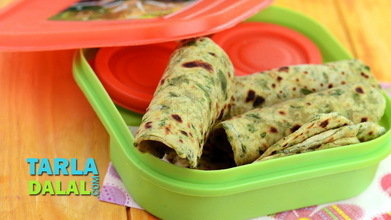 Divide the stuffing into 4 equal portions and keep aside. 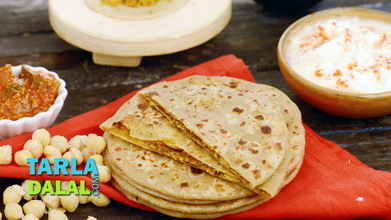 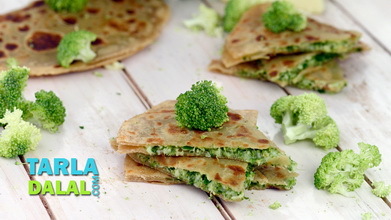 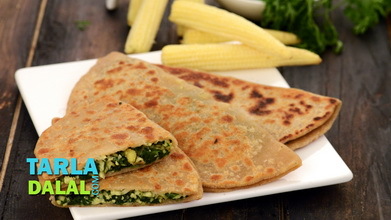 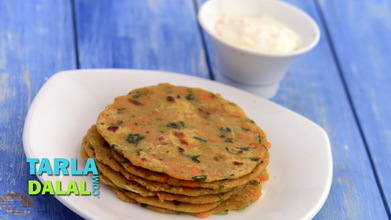 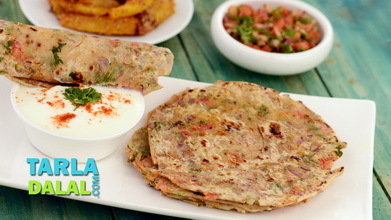 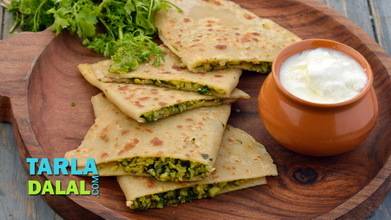 Place one semi-cooked chapati on a clean dry surface, place 1 portion of the stuffing on one half of the chapati and fold it over to make a semi-circle. 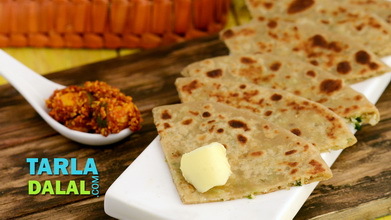 Heat a non-stick tava (griddle) and cook the paratha, using ½ tsp of oil, till it turns golden brown in colour from both sides. 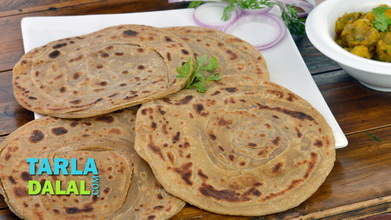 Repeat with the remaining chapatis and stuffing to make 3 more parathas.